In a landmark move, the U.S. Food and Drug Administration has proposed a plan to ban menthol cigarettes and flavored cigars in the United States. The agency also announced Thursday that it will impose new restrictions on the sales of flavored e-cigarettes in retail stores, limiting them to closed-off areas that are inaccessible to minors. The proposal still has to go through several regulatory phases and it could be years before the rules take effect, but it's a move advocates have been urging for years. While traditional cigarettes contribute to serious health issues, including an increased risk of cancer, heart disease, and an early death, adding menthol to them comes with additional concerns. A 2013 report from the FDA concluded that menthol is associated with increased addiction. Due to its cooling effects, menthol reduces the harshness of cigarette smoke, making it more appealing and easier for new smokers to pick up the habit and get hooked. The FDA also points out that younger people have the highest rate of smoking menthol cigarettes. "More than half (54 percent) of youth smokers ages 12-17 use menthol cigarettes, compared to less than one-third of smokers ages 35 and older," the agency reported, adding that the rate is even higher among African-American youth: 7 out of 10 young black smokers select menthol cigarettes. "I believe these menthol-flavored products represent one of the most common and pernicious routes by which kids initiate on combustible cigarettes," FDA commissioner Scott Gottlieb said in a statement Thursday. "The menthol serves to mask some of the unattractive features of smoking that might otherwise discourage a child from smoking." In addition to concerns about young people, health advocates have long been concerned about the impact of menthol cigarettes on the African-American community. Research shows that 85 percent of all African-American smokers smoke menthol cigarettes, compared to just 29 percent of whites. According to the NAACP's Youth Against Menthol Campaign, the tobacco industry "intentionally markets to youth and African American communities to attract new 'replacement' smokers and keep current smokers addicted." Activists contend this is reflected in higher levels of nicotine dependence in the African-American community, as well as higher death rates. According to the Campaign for Tobacco-Free Kids, research shows that while African-American smokers are more likely than white smokers to have made an attempt to quit and to have used counseling services in the previous year, they are less likely to successfully quit smoking. 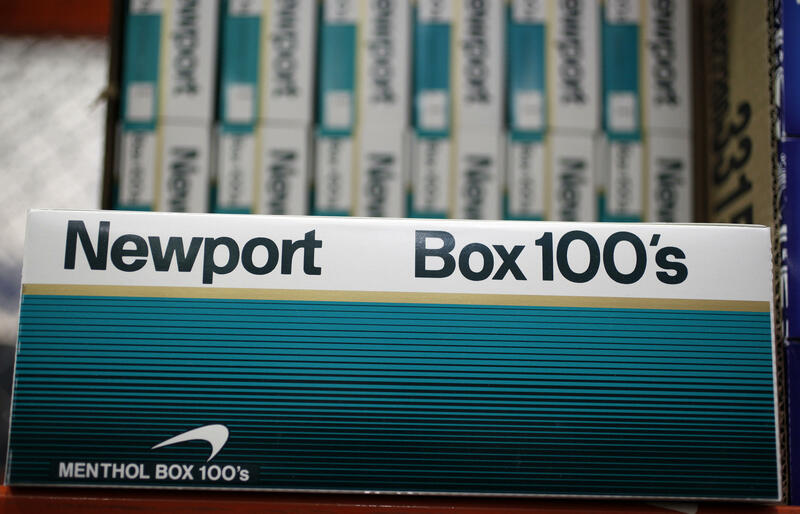 The campaign also estimates that by 2020, 4,700 excess deaths in the African-American community will be attributable to menthol cigarettes, and that 460,000 African-Americans will have started smoking because of menthol cigarettes. Lincoln Mondy is an activist and filmmaker behind "Black Lives / Black Lungs," a short film exploring all the routes the tobacco industry took to target the black community. He said he is "cautiously optimistic" regarding the news that the FDA plans to ban the sale of menthol cigarettes. "The tobacco industry has a well-documented history of infiltrating the black community with menthol products," Mondy told CBS News. "The industry has poured billions into political activity, philanthropic donations, and predatory marketing. This news signals that the industry may no longer enjoy unfettered access to devastate entire communities." In a joint statement released last week, the Campaign for Tobacco-Free Kids, the American Academy of Pediatrics, American Cancer Society Cancer Action Network, American Heart Association, American Lung Association and Truth Initiative called the FDA's expected action on menthol cigarettes "long overdue." "There is overwhelming scientific evidence that menthol cigarettes have had a profound adverse effect on public health in the United States, resulting in more death and disease from smoking," the organizations said. The FDA is also expanding its crackdown on e-cigarettes, proposing new restrictions on sales of flavored vaping products on the grounds that they are highly addictive and have become hugely popular with minors. Though stopping short of banning the sale of flavored e-cigarettes in convenience stores and gas stations -- as was expected based on earlier reports last week -- the FDA's proposal would limit the sale of these products in retail stores to closed-off areas that are inaccessible to minors. The proposal does not include mint and menthol flavors of e-cigarettes, though Gottlieb notes he will revisit this if evidence shows that kids' use of mint or menthol e-cigs isn't declining. The FDA will still allow all flavored e-cigarettes to be sold online. Experts say these products, with flavors like mango and fruit, are particularly concerning because of their appeal to young people. "The data show that kids using e-cigarettes are going to be more likely to try combustible cigarettes later," Gottlieb said. "This is a large pool of future risk. ... The data make unmistakably clear that, if we're to break the cycle of addiction to nicotine, preventing youth initiation on nicotine is a paramount imperative." The American Academy of Pediatrics issued a statement praising the FDA's actions but calling for further steps to protect children from tobacco products. "Even with new sales restrictions announced today by FDA preventing flavored e-cigarettes from being sold at certain brick and mortar storefronts, teens will still find ways to access them," the doctors' group said. "E-cigarette products that appeal to children have no business in the marketplace, period. FDA must take stronger action to protect young people. Pediatricians will not rest until these dangerous products are off the market and out of the hands of children and adolescents." In September, the FDA set a 60-day deadline for several major e-cigarette companies to prove they could keep these products away from kids or risk having them pulled off the market. On Tuesday, Juul Labs, which holds more than 70 percent of the e-cigarette market share and has become overwhelmingly popular with minors, announced it will stop selling its flavored nicotine pods, including mango, fruit, creme, and cucumber, at more than 90,000 retail stores nationwide. These products will still be available for sale online, but the company will impose additional age-verification measures and third-party verification to block sales to anyone under age 21. Juul also announced it was shutting down some of its social media accounts, which are popular with young people.